Atop one of Gotham City’s gargoyled rooftops, a duel for the ages is happening between Batman and Deathstroke in this all-new DC Collectibles battle statue. 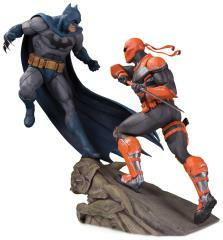 Batman defies gravity as he teeters on the edge of the gargoyle, armed with claws of batarangs, ready to defeat Deathstroke. 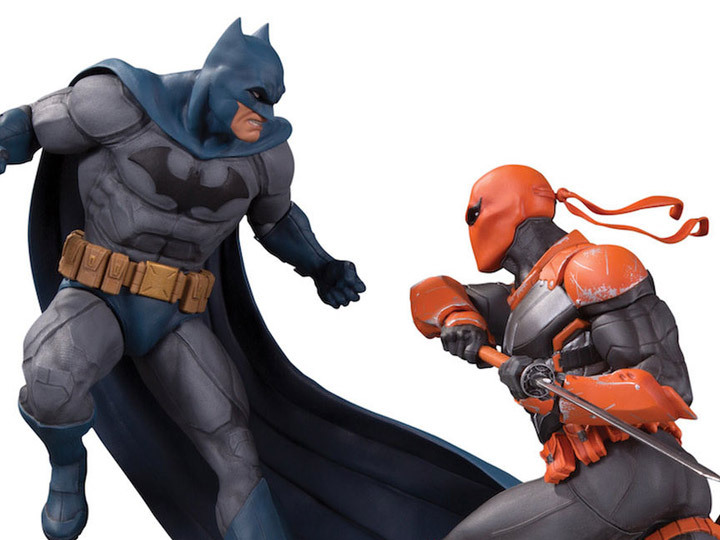 Sculptor Alejandro Pereira masterfully crafted these figures, while painter Michael Cowart put his artistic touch on these iconic characters to create this dynamic polyresin statue.